1.35 mm thick Polypropylene Webbing available in 19 colours and widths from of 3/4" to 4". 1.4 mm thick Polypropylene Webbing available in 13 colours and widths from 3/4" to 2". 1.5 mm Thick Polypropylene Webbing available in 18 colours and widths from 3/4" to 4". This webbing has a medium stiff hand. 1.75 mm thick Polypropylene Webbing available in 17 colours and widths of .5", .75" & 1". This webbing has a soft hand and is very popular for animal leashes. 2.3 mm thick Polypropylene Webbing available in 17 colours and widths of .75" & 1. 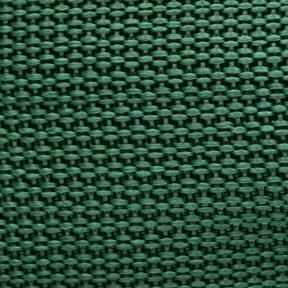 4 Panel Style Polypropylene Webbing has a slightly higher sheen and 4 tracks for an improved appearance. Rainbow Webbing is a Lightweight Polypropylene Webbing and is an excellent choice for outdoor webbing. It has excellent UV protection, low stretch, and does not absorb water quickly giving it a better resistance to mildew and rot. 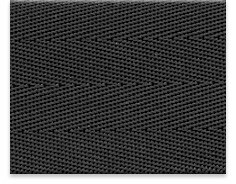 Polypropylene Webbing is an economical alternative to nylon. It is preferred for uses where direct contact with acids is possible and has good abrasion and UV attributes. Polypropylene Webbing floats and does not absorb water.